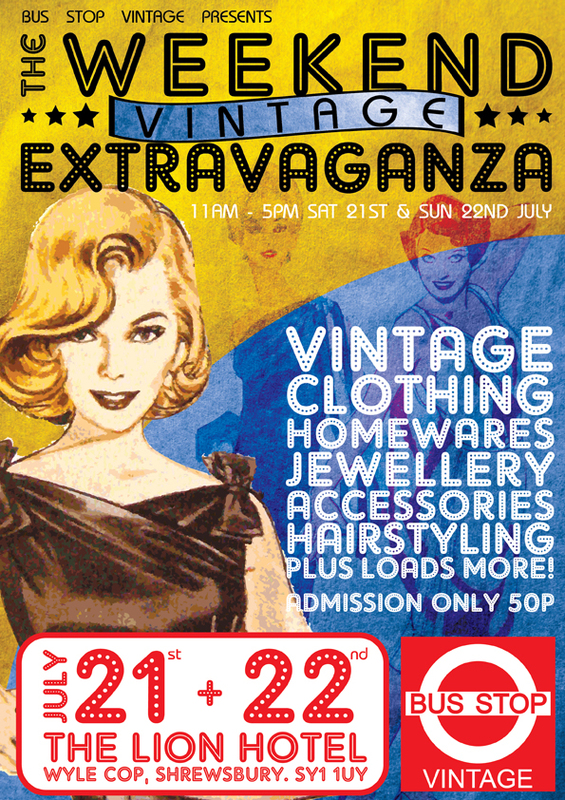 Vintage Weekender, Shrewsbury Lion Hotel, 21-22 July! Two days instead of one! That HAS to be a good thing! 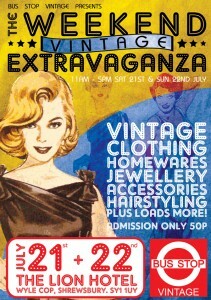 This weekend, Bus Stop Vintage is at The Lion Hotel, Wyle Cop, Shrewsbury, Saturday 21st and Sunday 22nd July, 11am-5pm. I’ll be there, with brand new goodies, the vintage zoo, tote bags, lavender lovelies, cushions (with some made from my new fabric treasures, including a very exciting piece of 60’s vintage Heals Spring Song in the blue and purple colourway…gorgeous. I’ll post a picture later) and whatever else I come up with in the next few days! See you there, it’ll be fun! This entry was posted in Events and tagged bus stop vintage, handmade and vintage shropshire, heals spring song, the whistling cowgirl events, vintage fabric, vintage shrewsbury, vintage weekender, vintage zoo, wish you were here.